The IRS is considered a brutal government agency by many taxpayers who become uneasy when filing time approaches and shake in their boots when contacted by the agency. There are a number of situations when the IRS can cut down the amount of tax debt, provided the taxpayer qualifies according to guidelines laid by the IRS. 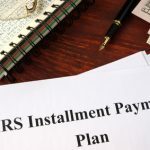 One of the IRS debt forgiveness programs that promises IRS tax debt relief is the “Offer in Compromise”, which taxpayers and businesses sinking under tax debt can give a shot. Despite the existence of such programs, delaying paying your taxes without good reason can do more harm than good. Continuing the discussion, this blog post dispels five myths about the IRS “Offer in Compromise Program” to help you understand the provision for tax debt forgiveness. Take a look. The IRS has three years to calculate additional tax liabilities or issue a refund and, ten years to collect outstanding taxes, if any. The rules or timelines are collectively referred to as the “Statute of Limitations.” Many taxpayers commit the rookie mistake of submitting frequent OICs, as a way of keeping the IRS at bay and settling back taxes as “pennies for dollars.” On the contrary, as an OIC takes more than a year to get reviewed after initial submission, the IRS suspends the 10-year statute of limitations during that period, which essentially means that, delinquent taxpayers can’t get away without paying their taxes in full, unless the OIC is exceptionally reasonable and approved by the IRS. Many taxpayers wrongly believe that they can pull a random number out of thin air and have the IRS readily accept waving it off their taxes. 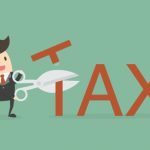 The IRS has set stringent guidelines to assess whether the amount offered by a taxpayer is good enough to settle their back taxes. This, therefore, means throwing random numbers never works. 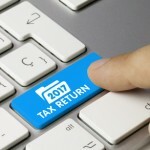 The IRS requires taxpayers to accurately disclose their financial information through forms such as 433-A and 433-B, followed by projecting their income for upcoming months or years. If a delinquent taxpayer is able to furnish accurate financial information and pass the OIC qualifying guidelines laid by the IRS, only then is there a chance of the OIC being accepted. OICs have a low approval rate to be honest and is generally accepted under two conditions. First, if a taxpayer claims a miscalculation in taxes and actually does not owe the IRS or can prove there are absolutely no means to pay back outstanding taxes. Though many people think that not having enough money in hand to settle outstanding debts qualifies them for an OIC, the IRS has a different approach to such situations. The IRS evaluates a taxpayer’s paying potential after having a good look at their assets and monthly disposable income that only includes “allowable expenses” as per local and national standards. 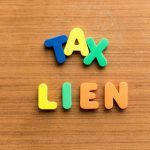 In other words, a person who is living paycheck to paycheck and appears to be drowning under debt can still find their OIC disqualified, if the IRS concludes that the taxpayer has the required potential to clear their tax slate. Though OIC is a legitimate IRS debt forgiveness program, many tax settlement firms misrepresent its clauses to win clients. 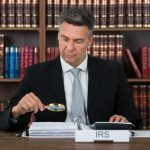 In fact, many of the firms claim to have “Ex-IRS Officials” on their staff who can persuade the IRS to settle clients’ back taxes, such as pennies for the dollar, which is not the case. Getting OIC approval is always a possibility, but only under special conditions when a taxpayer is unable to settle outstanding taxes as it may lead to financial hardships or there are insufficient assets that can be used meaningfully to cover the tax liability. 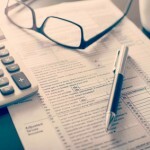 The best tax relief you can get in such cases is an extension to pay back taxes. Qualified tax settlement firms are a helpful resource in such instances. If you find a firm claiming to be able to settle your taxes “pennies for dollar” without having a hint about your financials, it’s more likely an IRS Tax debt relief scam. You should avoid falling for false IRS debt help promises. Some taxpayers believe they can postpone paying current taxes once they submit an “Offer in Compromise” as the ball will be in the IRS’s court. On the contrary, IRS discourages such practices and taxpayers are expected to be current in filing and paying their current taxes, irrespective of any pending OIC. The IRS deals with millions of delinquent taxpayers, and waiting to receive the status of your OIC does not help as, your OIC is more likely to get rejected. An OIC can probably help you extend the due date for outstanding debt but not negate the inevitable. Taxpayers, therefore, should consult reputable tax settlement firms to learn more about OIC guidelines and assess their chances of being covered under the program. Most taxpayers are petrified of the IRS as they have the legal right to deploy strict collection measures, including wage garnishment and seizure of assets. As a result, taxpayers try to get away with pending taxes, allowing fraudulent tax settlement firms to take them for a ride. If you are sinking under tax debt, an OIC or Partial Payment Installment can help settle outstanding taxes. Shortcuts never work with the IRS. If you want to learn about IRS debt help and legitimate IRS Debt Forgiveness Program, look no further than the Law Offices of Nick Nemeth. No matter the complexity of your debt problems, we are happy to help you resolve all your IRS tax issues and answer all questions. To get a no-obligation free consultation with Nick and learn how we can help with IRS tax debt relief, fill our contact form and we will get back to you right away. You can also call us at 972-627-4705 to schedule your free consultation.